The EF 600mm f/4.0 L IS II USM (which replaced the older EF 600mm f/4.0 L IS USM) is a much lighter avatar. Needless to say this lens because of its superior, optics, magnesium and titanium based construction, Fluorine coating and weather sealing makes the ideal partner for professional wild life photographers and amateurs needing a long tele photo lens. This lens is also suitable for sports photographers looking to make a tight framing from a distance. Canon has provided three image stabilization modes in this lens. The third IS 3 mode ensures that the lens engages the stabilization only when the shutter is fully pressed negating the needless compensatory action that is prevalent in most IS lenses. Together with the other two IS modes the EF 600mm f/4.0 L IS II USM provides up to four stops of image stabilization. 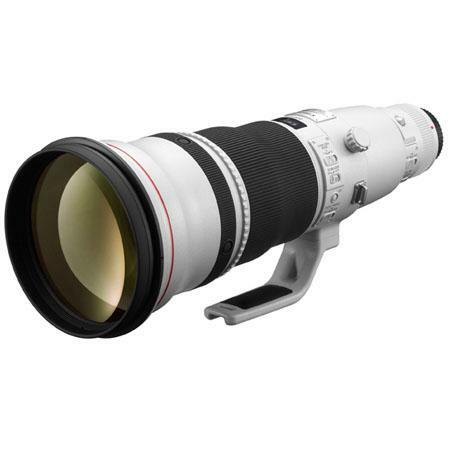 The lens is further compatible with the Canon 1.4x III teleconverter allowing this lens to have a focal length of 840mm. at that range the max aperture gets reduced however to f/5.6. This unfortunately affects the shutter speed and one needs to set a longer shutter speed to ensure that a proper exposure can be made. The diagonal angle of view of the lens is 4°10′. The lens has a total of 16 elements arranged in 12 groups. The lens diaphragm is made by 9 rounded blades creating a wide f/4 maximum aperture. It stops down all the way to f/32. External dimensions of the lens are 6.6″ x 17.6″ and its weight is 3920. It takes a filter of size 52mm. 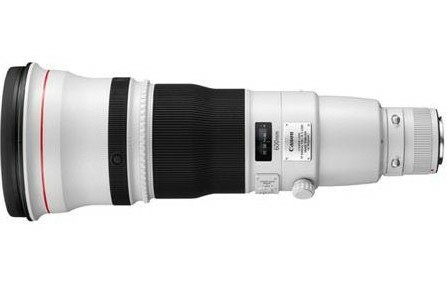 Also read EF 500mm f/4.0 L IS II USM Lens.